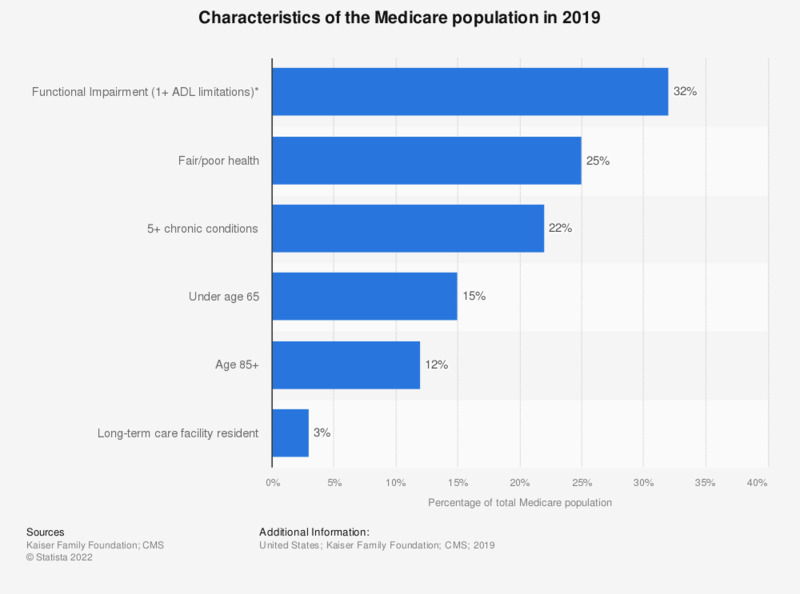 This statistic represents the characteristics of the Medicare population in the United States in 2017. In that year, 50 percent of the Medicare population in the U.S. had an per capita annual income below 26,200 U.S. dollars, and per capita savings below 74,450 U.S. dollars. * Functional impairment; ADL = activity of daily living. Which of these statements about you and friendship do you agree with? Which qualities do you look for in close friends? Which of the following apply to the Amazon Echo?